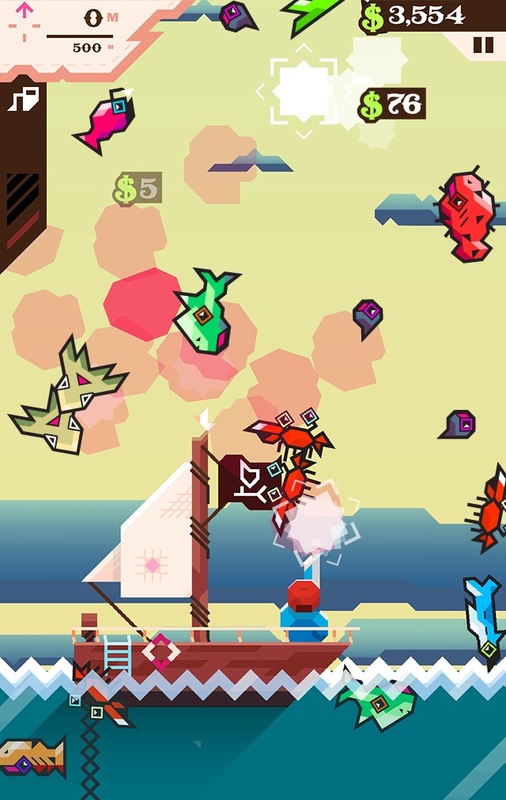 So another game from the Humble Mobile Bundle 3 that gave me a lot of enjoyment was Ridiculous Fishing. I was aware of the positive press it received when it was released for iOS earlier this year, but I didn’t feel like playing it on my ancient iPod Touch. Luckily, this particular Humble Bundle marked its debut on Android; meaning I had a chance to play it on my tablet. Its gameplay was simple and the feedback loop implemented was rewarding enough to keep me playing until the end. At first you want get as deep as possible. There is a story behind why the avatar, Billy, is fishing although it’s scant and really only consists of a slightly humorous intro and outro. It’s beside the point. The point of Ridiculous Fishing (and its Flash-based predecessor Radical Fishing) is a simple feedback loop. As discussed in this Gamasutra article, the entire premise of the game is based on a feedback loop that keeps the player in the game. I didn’t think about it until I read the article, but performing well in one of the game’s three distinct sections, leads to better performance in the next. At first, Billy casts his line and attempts to get as deep as possible. Once his lure reaches the bottom or snags a fish, the goal switches to catching as many as possible. Finally, once he’s reeled them in, he thrusts them into the air and blows them into smithereens, getting money. This money can then be spent on various upgrades suited to increasing each cast’s payload. Then rinse and repeat until one finds satisfaction. Then once once you’ve reeled a lot in, shoot them for money! For me, I was satisfied with completing the four stages and reaching the ending. It took me a few hours split amongst multiple bedtime gameplay sessions. I still have a good amount of unlockables and a scant few fish to catch, but I’ve had my fill. 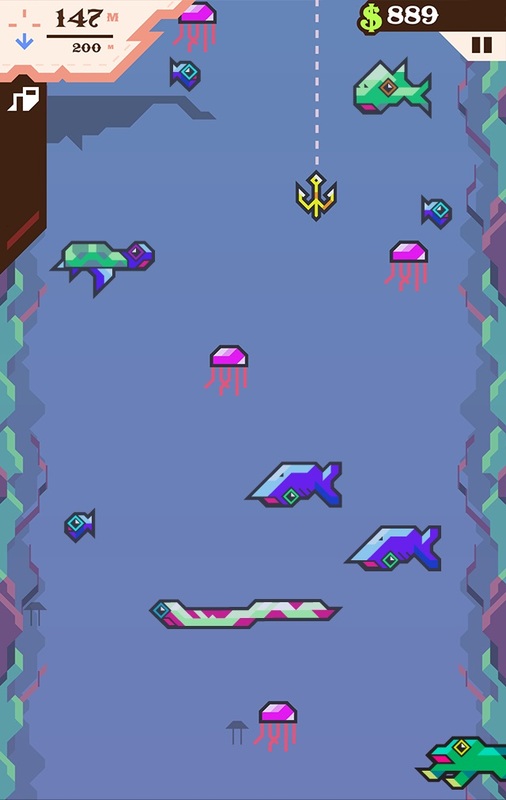 The visual style and soundtrack were both unique enough to warrant interest and the faux-Twitter app, Brydr was worthy of a few retweets but above all, the feedback loop and simple gameplay kept me hooked.